Head pin, stainless steel, 2 inches with 2mm ball, 24 gauge. Sold per pkg of 50. Item Number: H20-A9327FN Have a question about this item? 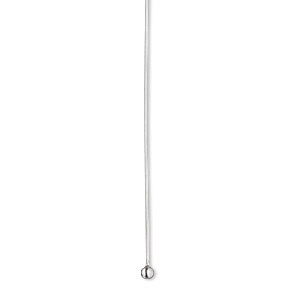 Stainless steel head pins are resistant to rust, oxidation and discoloration to provide durability, strength and long-wearability. 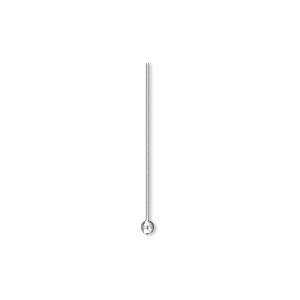 Made of 304 grade stainless steel, these head pins are not plated and will not fade or chip over time. They are machine-made for consistent size and shape. 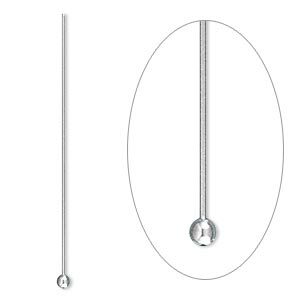 Head pin, stainless steel, 2 inches with 2mm ball, 24 gauge. Sold per pkg of 100. 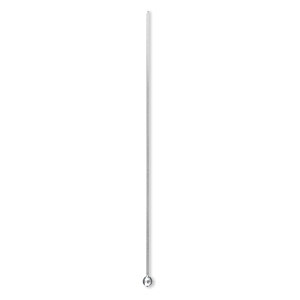 Head pin, stainless steel, 2 inches with 2mm ball, 24 gauge. Sold per pkg of 500.